Looking for Herbert Foulkes’s Family! 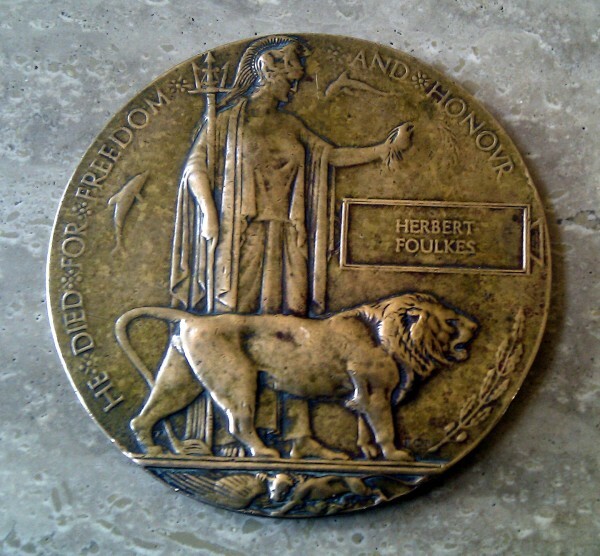 Herbert Foulkes is named on the Connah’s Quay/Shotton Memorial. When he was killed in WW1, his family was given a commemorative plaque engraved with his name (these plaques were given the nickname ‘Death Penny’). About forty years ago, Herbert’s plaque was somehow lost by his family. It was found by a Flintshire man who kept it safe. The plaque is still in the safe keeping of his family. They would love to return it to its rightful owners, the family of the late Herbert Foulkes. Does anyone know of any relatives?